A brewery director plotted to contaminate the products of a rival so they would be recalled, a court has heard. Michael Hancocks, 63, was described at Bristol Crown Court as the "prime mover" in a plan to pour yeast-based contaminants into the production line of cider firm HP Bulmer. Hancocks' firm, Birmingham-based Aston Manor Brewery, was in direct competition with Hereford-based Bulmer's in the cider market. Hancocks, of Hafod Road, Hereford, pleaded guilty at a previous hearing to conspiracy to defraud Bulmer's by introducing yeast-based contaminants into their products between August 31, 2001 and April 5, 2002. 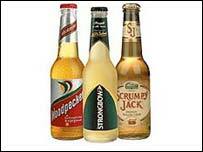 Bristol Crown Court was told on Wednesday that Hancocks had resented the success of Bulmer's, with strong commercial brands like Woodpecker, Strongbow and Scrumpy Jack. 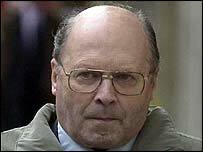 Victor Temple QC, prosecuting, told the court how Hancocks wanted to cause Bulmer's economic and commercial disadvantage in order to help his own company. "What he had in mind was to dishonestly steal a commercial march on Bulmer's, in effect to teach them a lesson," said Mr Temple. Hancocks was a major shareholder in Aston Manor - which makes Frosty Jack cider - but the court heard that, at the time of the plot, profits were falling and job losses were feared. Hancocks recruited chemist and former Aston Manor employee Richard Gay in an effort to produce yeasts that could spoil Bulmer's products. He also used his daughter's partner, Paul Harris, to transport the material and recruit a Bulmer's employee with access to the production line. But the worker, Russell Jordan, who was promised £16,000 for putting contaminants in the line, revealed the plot to Bulmer's and police. Detectives then watched Mr Jordan's subsequent meetings with Harris, during which time three lots of contaminant were delivered to the Bulmer's employee. He was told there was a plan to introduce a contaminant every month, although none ever entered the production line. Gay, 51, of Weston Lane, Tyseley, Birmingham, previously pleaded guilty to possessing materials with a view to the commission of an offence. Anthony Barker QC, who defended Hancocks, said he was a respectable and honourable man and denied his client had expected his actions to result in a product recall. Paul Harris, of Kings Caple, Hereford, who admits to a charge of conspiracy to contaminate with intent to cause economic loss, was unable to appear in court on Wednesday. All three men are expected to be sentenced on 1 May.